What should you look for in used powered industrial trucks? It sounds like an obvious question and you may think you know the answer. You are involved in some aspect of the materials handling business and you need a forklift to handle your heavy lifting for you. To save money, you are looking for a used forklift. But do you need a conventional forklift or would something else in the 7 classes of used powered industrial trucks serve you better? When most people think of forklifts, they immediately think of only three classes of lift trucks. 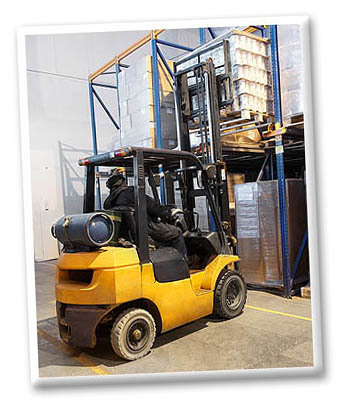 Class 1 Electric Rider forklifts are those that are seen in warehouses everywhere. Class 4 forklifts are the internal combustion powered lift trucks with cushion tires whose extra grunt makes them ideal for well-ventilated industrial warehouses and factories. Class 5 forklifts are also powered by internal combustion engines, but have pneumatic tires, making them more suitable for indoor/outdoor use. Even among these three common types of used powered industrial trucks, there are many variations available. For example, what kind of fuel would be most appropriate for your needs? 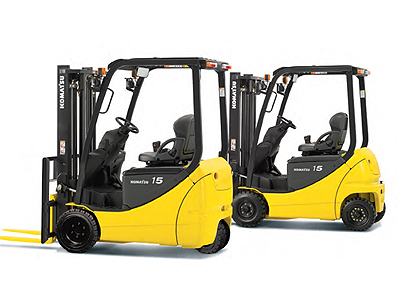 Class 4 and Class 5 lift trucks can be gasoline, diesel, LPG or natural gas powered. Each of these has its place. Diesel engines, for instance, are renowned for their efficiency and power, but are not recommended for indoor use. Not all Class 1 electric rider forklifts are alike, either. Most are designed for seated riders, but there are many designed for standing riders, too. If you are accustomed to buying standard seated rider forklifts, it might be a good idea to at least look into the uses and advantages of stand-up used powered industrial trucks. Then there is the matter of the forks. This is what really distinguishes used powered industrial trucks from used forklifts. Many lift trucks do not use forks for lifting at all. Narrow aisle order pickers, for example, are often fitted only with personnel carriers. Class 6 used powered industrial trucks are tractors designed for towing payloads exceeding 999 lbs. Class 7 used powered industrial trucks are all rough terrain vehicles, many of which are not forklifts in any sense of the word. Most commonly, when we speak of used industrial trucks for sale, we think of used forklifts. Since the word "forklifts" is part of our common vernacular, it is not usually a problem. However, if you're looking online, look for used powered industrial trucks. You may have better search results and find the best "forklift" for your needs, whether it has forks attached or not! At Reconditioned Forklifts, we sell much more than just reconditioned forklifts. We sell all classes and codes of used powered industrial trucks. These include standard forklifts, narrow aisle lift trucks, tractor trucks and rough terrain trucks. We call ourselves Reconditioned Forklifts because that is what the majority of our customers are looking for and that is what we deliver: forklifts and other used powered industrial trucks that have been thoroughly reconditioned by factory trained technicians. If you prefer to have your own technicians recondition your used lift truck for you, we also offer If you "As Is" forklifts that have been inspected by our service department so you know exactly what you're getting. In a nutshell, Reconditionedforklifts.com offers you choices.